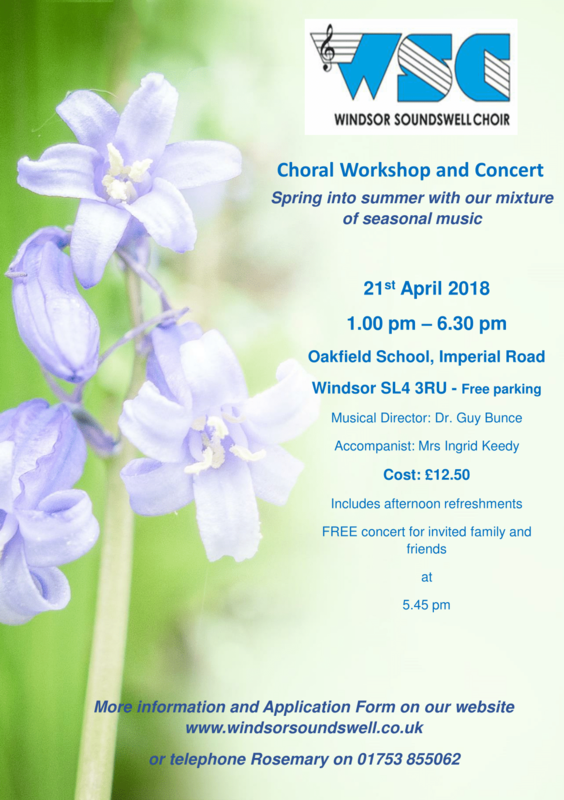 Windsor Soundswell Choir, under the leadership of Guy Bunce, continues to meet on Tuesdays from 7.30-9.30pm, at Trinity St Stephen School, in Vansittart Road, Windsor. The choir is open for all those who enjoy singing - no musical knowledge or auditions required. 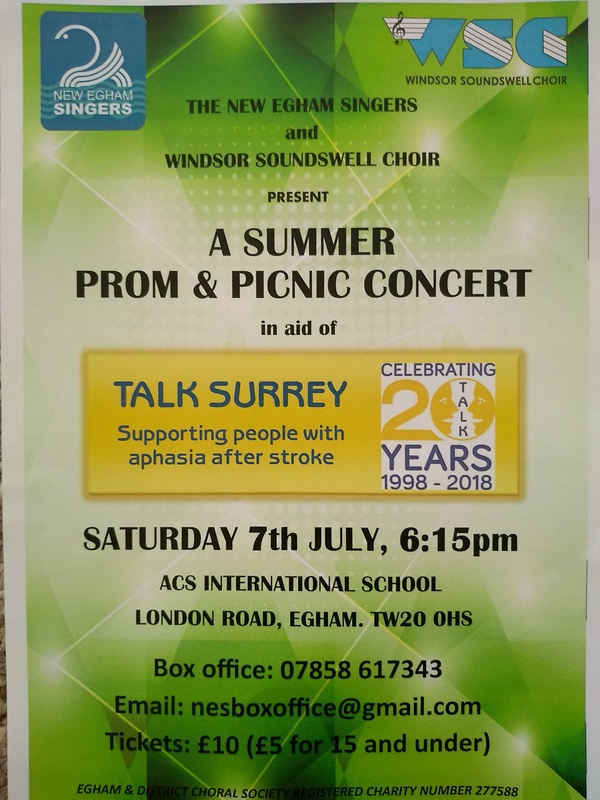 Just come along and sing a wide variety of music. We meet every Tuesday during term time (except for half-term). The fee is £40 per 6 week session. Six weeks from Jan 8, 15, 22, 29; Feb 5, 12. Six weeks from Feb 26; Mar 5, 12, 19, 26; Apr 2. Five weeks from Apr 23, 30; May 7, 14, 21. Seven weeks from Jun 4, 11, 18, 25; Jul 2, 9, 16. We meet at: Trinity St. Stephen CE First School, Vansittart Road, Windsor, SL4 5DF (free parking available in the school car park - limited).